You are here: Home / Hoppy Thoughts Blog / Cruising for Craft Beer: A Refreshing Pit Stop at Mother Road Brewing Co.
Cruising for Craft Beer: A Refreshing Pit Stop at Mother Road Brewing Co. It was dusk in Flagstaff. Sitting out on the patio at Mother Road Brewing Company I looked out over my tasting glasses, the string lights, and low hanging tree branches. I could see the busy headlights of passing cars just beyond. The bustling traffic on Highway 40. I looked down at my empty tasters and thought of getting up to settle the tab. My favorite had been the Tower Station IPA. Hazy and unfiltered this India Pale Ale packed tons of citrusy aromas. It was perfectly balanced with malt and hop with a slight hint of grapefruit and pine flavor on the finish. I had also really enjoyed Lost Highway. This dark beer, a double black IPA rounded out its hoppiness with flavors derived from bitter orange chocolate and caramel. It was a prime example of a black IPA done right. Finishing up the last of the Kolsch I gathered up my tasters. A crisp and refreshing ale the Kolsch is light and airy. An ideal all day beer flavors of pear and lemon are complimented with a dry finish and slight biscuit malt. Walking across Mother Road’s patio the outdoor atmosphere was that of an evening block party rather than a business establishment. Friends gathered in socialized circles, picnic table style seating was packed with laughing voices and excited chatter. Warm lighting draped down from overhead while tall heating lanterns shot their flames upwards cutting the slight chill from the air. A high pile of stacked wood next to the brewery door added to the backyard feel. Inside the taproom was as busy as the outside patio. Crowds of folks gathered by the wrap around bar, huddled around pints chatting over the steady beat of Foster the People’s Pumped Up Kicks. 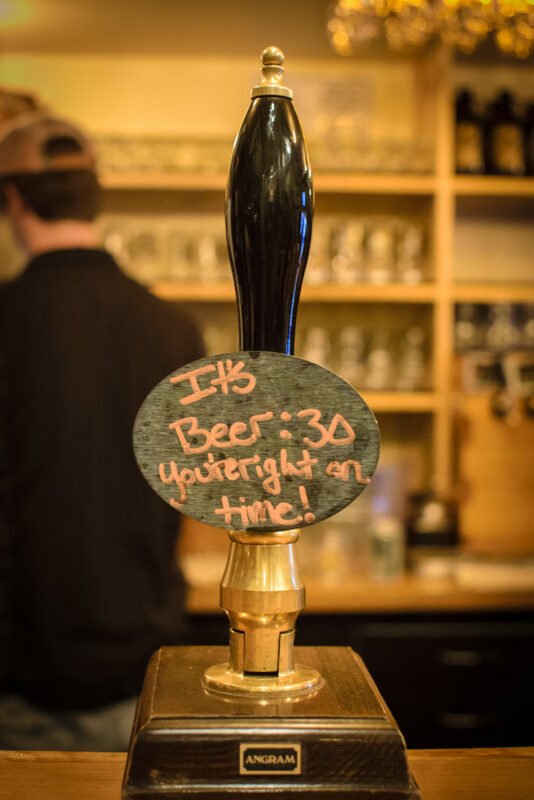 I found JP manning the taps, smiling and joking with patrons as he filled glass after glass of Mother Road’s favorite creations. “Give this a try.” he said, sliding me a taster glass. The latest of Mother Road’s Experimental IPAs this session pale was exceptionally smooth and easy drinking. Robust and balanced it combined just the right amount of malts and hops, rounded out with some citrus zest. “We’re always tweaking stuff, making one version better than the last.” he added, gauging my reaction. “I think its good as is.” I laughed, finishing off the taster. Now that JP had a little breather during the evening rush I picked his brain a bit regarding Mother Road’s history. “Well the building used to be an old textile factory.” he said, eyeing up the open space that was now occupied by Mother Road’s barrel system. I followed his gaze and tried to picture that bygone stage in the building’s time. 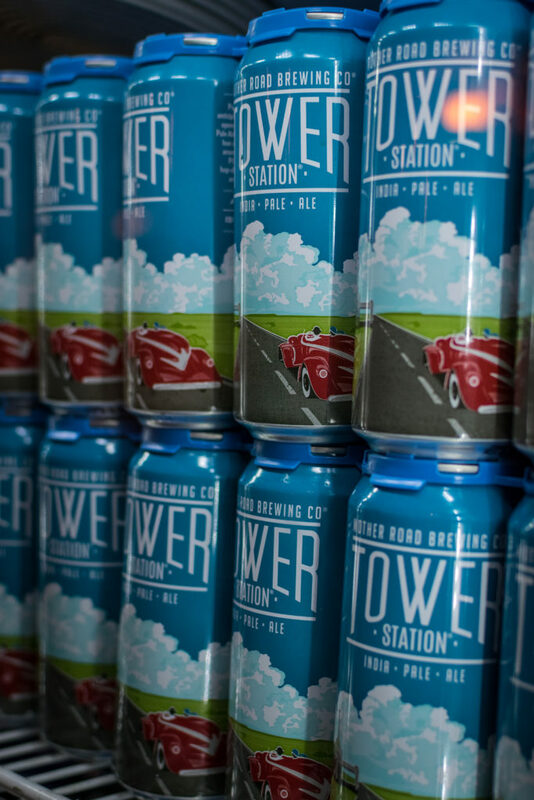 “But ya know our real inspiration is from Flagstaff, our hometown’s place in this part of Arizona’s history.” As he spoke he gestured towards the can art on the Tower Station IPA. “Its fitting that its our bestseller.” he said with a smile. The cans depicted a regal blue sky, fluffy white clouds floating at the horizon line. An old bright red convertible drove down a straight road, flanked by fields of green on both sides. The driver and passenger clad in dress that dated the same as their automobile. It really was fitting. As I left the patio courtyard I looked out once again at Highway 40. I couldn’t help but think what a perfect location the brewery was in. The highway had once been part of a system that traversed more than half the country. From Chicago, Illinois to San Bernardino, California. 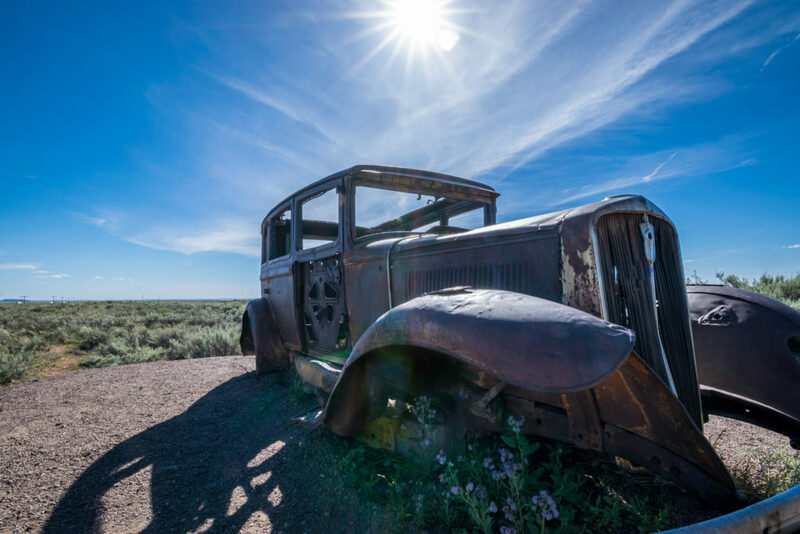 Since 1926 thousands had traveled the highway, in old Studebakers, ancient Fords, and rusty jalopies right past the exact spot where I stood. When the stock market crashed and the wheat farmers and homesteaders of Oklahoma and Texas had bled the plains dry the highway was a lifeline. Fleeing the crippling misery of the Dust Bowl they used the road to seek better prospects in California. Certainly fitting for the brewery to be only a stone’s throw away from such a historic route. Highway 40 wasn’t always numbered as such. Immortalized in song and story by the likes of Bobby Troup and John Steinback. It has become synonymous with the American road trip. Known famously around the country by many names. As I walked down the sidewalk they ticked off in my head with each step. Route 66. Will Rogers Highway. The Main Street of America. 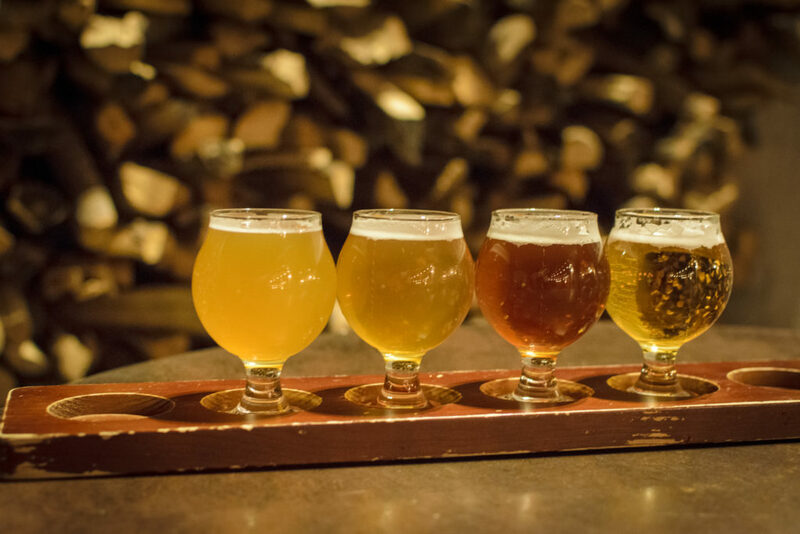 Filed Under: Hoppy Thoughts Blog Tagged With: Arizona, beer, brewery, Craft Beer, Flagstaff, hops, IPA, microbrew, Mother Road Brewing Co. I would need to say that “40” was never the Mother Road. Many aficionados of this historic route would have no mention of 40 except as to how it destroyed Route 66 and the lifeblood it provided to the now dead small communities along it. A better description of your location would be “Historic Route 66” or Business 40. I quite liked the tower IPA, thanks for the recommendation.